Champion Winx has pleased jockey Hugh Bowman in an early morning gallop at Rosehill. Champion Winx remains in picture perfect order ahead of what is anticipated to be her final home track appearance and the likely penultimate start of her career. 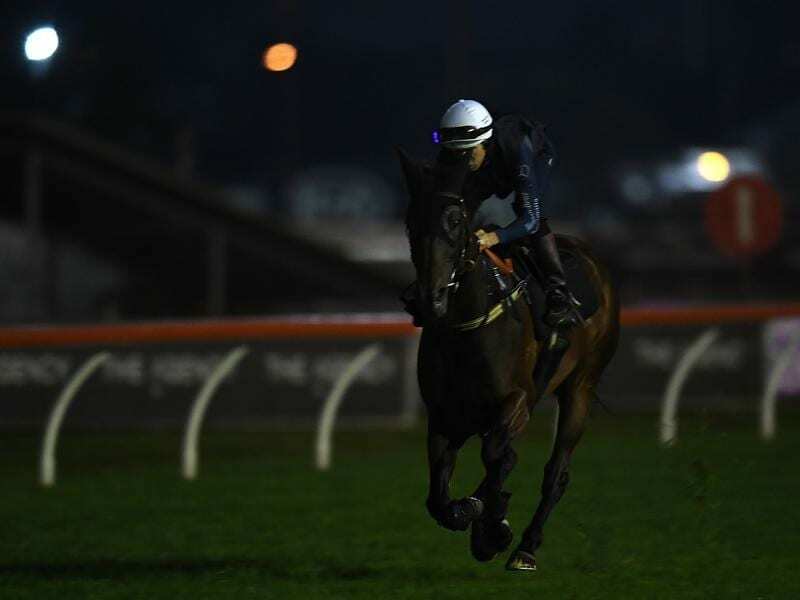 As has become the norm for Winx, the seven-year-old had a comfortable early morning gallop at Rosehill on Thursday with Hugh Bowman aboard, two days out from the Group One George Ryder Stakes (1500m) at the same track. Winx will be out to stretch her winning sequence to 32 and her Group One tally to 24. Bowman said she felt “amazing”. “She feels as good as she looks,” he said. “She wasn’t out there to do a whole lot this morning, and she galloped very well here with Unforgotten on Tuesday morning. With recent rain in Sydney, a rain-affected surface is expected on Saturday but that is no concern. “I think one of her best performances was in this race two years ago when it was a very heavy track, and with an expected wet track on Saturday that just gives us more confidence than we already have,” Bowman said. Winx has seven rivals in the George Ryder including her stablemates, Ringerdingding and Prompt Response. “I don’t want to sound arrogant but Winx only has to hold her position where she has been the last 10 or 20 starts, let alone 30 starts,” trainer Chris Waller said. “And as Hugh said we’ve just got to make sure she’s trouble free and comes home safely.